Parts – Dirk’s Truck Repair, Inc.
At Dirk’s Truck Repair we know every single part is crucial to keeping your productivity up. We’ve specialized in providing top-quality heavy-duty diesel truck parts to Tacoma area drivers since 1979. You can always count on our truck parts specialists to have the proper know-how that comes with decades of industry experience and expertise. Our extensive truck parts inventory, at our Lakewood, WA shop, covers all applications for all makes and models. From light, medium, and heavy-duty trucks and trailers to RVs, and buses, we have the right assemblies, units and repair parts to cover your specific needs. Dirk’s Truck Repair’s focus is to provide our customers with diesel products that increase efficiency, reliability, and profitability. We represent the world’s leading manufacturers of diesel parts and equipment. Whether your diesel needs include fuel injectors, fuel pumps, high pressure common rail, diesel engine parts or fuel additives, Dirk’s Truck Repair has the right part for you. Dirk’s Truck Repair is always looking for ways to save our customers time and money. Utilizing our relationships with Original Equipment Manufacturers and leading Aftermarket Manufacturers, we can offer and install new parts, or exchange units in our Lakewood shop. If you can’t find a specific component part number, our knowledgeable sales staff will find it for you. 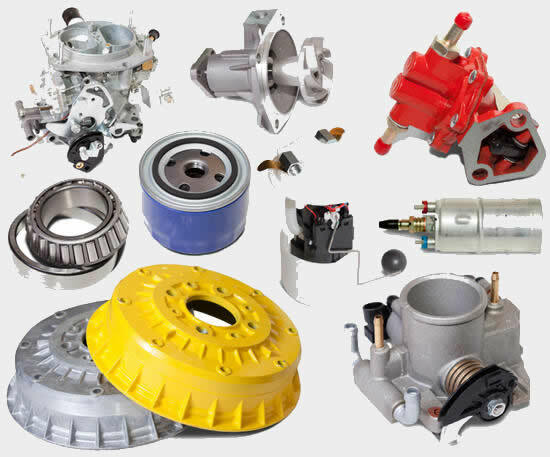 We are able to identify many parts based on engine model or equipment make and model. Our computer program recognizes many OEM numbering systems including Bosch, Caterpillar, Detroit Diesel, GM, Ford, Dodge, Cummings, John Deere, and more. For all of your diesel product needs, Dirk’s Truck Repair has you covered.